Ed R. Davies is a senior attorney in the firm and one of its original founders. He was born in Nashville, Tennessee on November 20, 1931, and admitted to the Tennessee bar in 1958. He attended Montgomery Bell Academy and graduated from The Webb School in Bell Buckle, TN in 1949. He received his undergraduate degree from Vanderbilt University in 1953 and an L.L.B. degree from Vanderbilt Law School in 1958. Mr. Davies served two years active duty in the United States Marine Corps from 1953-55 and was stationed in Korea during 1954-1955. Thereafter, he served in the Marine Corps Reserves retiring in 1979 after obtaining the rank of Lt. Colonel. He is a member of the Tennessee Bar Association and the Nashville Bar Association. Mr. Davies has enjoyed a long and distinguished career at the bar. 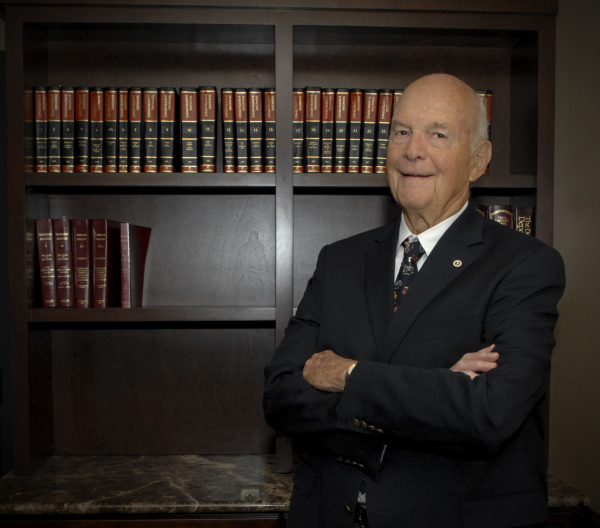 He has served two terms as a Director of the Nashville Bar Association, and served briefly as a Chancellor of the Chancery Court for Davidson County following his appointment by Governor Winfield Dunn in 1973. He is a fellow of the American College of Trial Lawyers. Since 1980, Mr. Davies has concentrated his practice in the areas of Products Liability, Civil Rights, General Liability and Medical Malpractice cases for physicians, other health care providers, and patients.